The agricultural land covers approximately1,382,492 million dunum that is cultivated with all kinds of vegetables and field crops, in addition to the groves of fruit trees. The amount of livestock varies from one year to another and from one season to another. The unique location and progression of many human civilizations in the territories led to the richness of biodiversity, where most types of natural vegetation and wildlife are found. 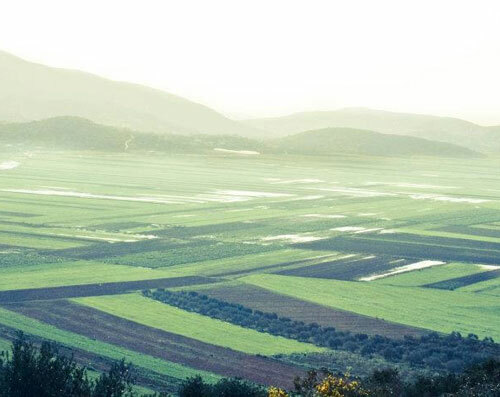 According to the classification of the Ministry of Agriculture, Palestine is comprised of five agro-ecological zones. The coastal plain zone (Gaza Strip): This zone extends from the North to South on the Southeastern shores of the Mediterranean Sea and is dubbed the “Fish Basket” of Palestine. The semi-coastal zone (North-Western corner of the West Bank), which includes the governorates of Jenin, Tulkarm and Qalqiliah. This area receives the most annual rainfall. The middle elevation zone extending from Jenin in the North to Hebron in the South. The steppe zone that extends from Eastern Jenin to the Dead Sea in the south and is considered a range-land. The Ghor (Western Jordan Valley) zone. Geographic and climate diversity in Palestine provides for the growth of a wide range of agricultural products. 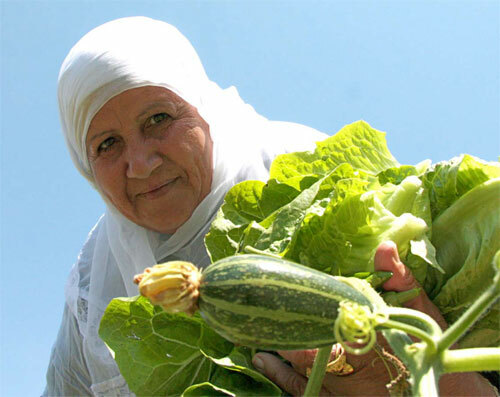 Although Palestine’s agricultural area is relatively small, the diversity of climate is high, which makes it suitable for the production of vegetables year-round. 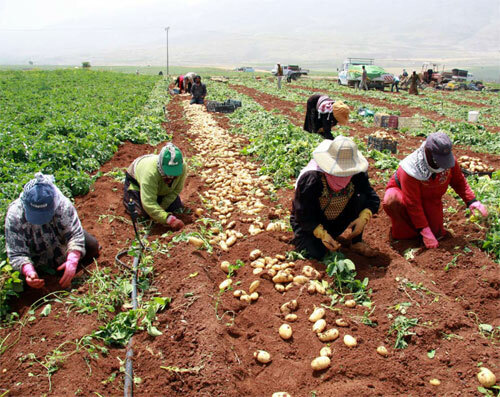 In addition, the high level of mechanization in Palestinian Agriculture practices (particularly in green houses, land preparation irrigation, and pesticide spraying) improves the production efficiency. The warm winter months in the Ghor area allow for the production of winter vegetables, while the moderate summer climate in the mountains and coastal areas allows for the production of vegetables. The use of greenhouses grants a year-round vegetable production. This sector is evolving rapidly and is working to export many products such as medical plants, which witnessed a growth spurt, and are a great addition to citrus, olives, tomatoes, spices and fruits as well as roses and strawberry that are important export products particularly to the European market. The agricultural trade patterns for Palestine represent a unique case in the Palestinian economy. While imports are still higher than exports, the latter remains to be a significant contributor to total Palestinian market. Despite this, some Palestinian producers are shifting their production lines to higher value-added products such as flowers, strawberries and cherry tomatoes, in order to become more competitive in the global market place. Strawberries are available as early as November. The highest prices in the European market for strawberries are during the months from November to January. The cut flower is a relatively new industry (introduced in 1990), and is primarily found in the Gaza Strip. The industry has grown significantly. By 1996, the annual production had exceeded 70 million stems, all being exported to the European market. The cultivation of flowers contributes about 25 million dollars annually to the national income, while the jobs created in this sub sector are around 4,500 jobs.